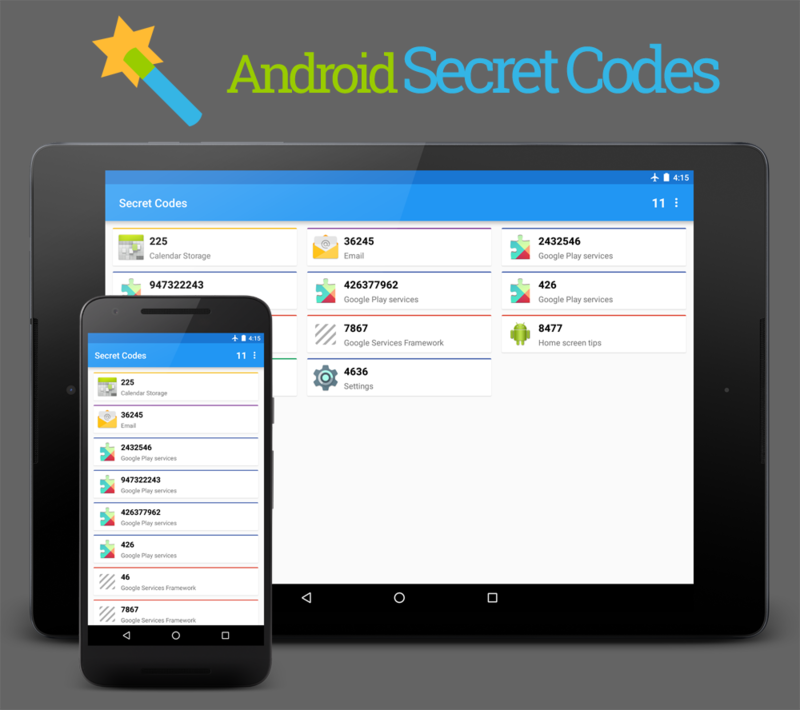 Secret Codes is an Open Source application that allows you to browse through hidden codes of your Android phone. 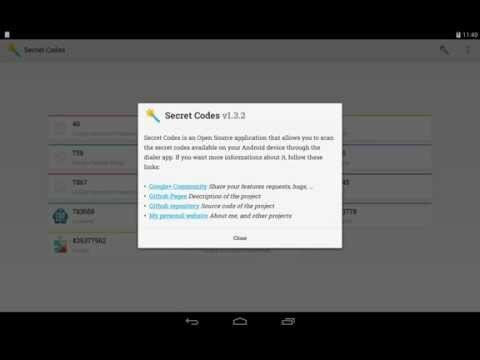 This application will scan through all available secret codes on your device. Then you will be able to executes these secret codes a discover hidden functionalities. What is a secret code? 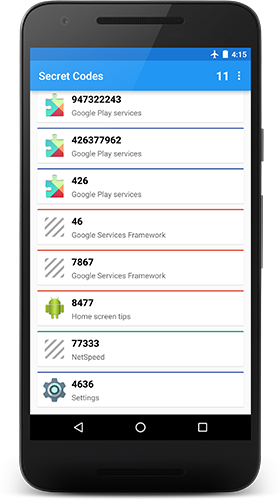 In Android a secret code is defined by this pattern: *#*#<code>#*#*. How to execute a secret code? 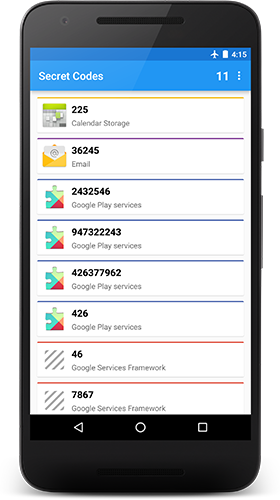 Directly through the dialer application of your Android device. Simply write the secret code like: *#*#123456789#*#*. How to create your own secret code? And whenever *#*#123456789#*#* is submitted, your receiver will be notified. Feel free to contribute to PreferencesManager. If you want to start to create a new feature or have any other questions regarding PreferencesManager, file an issue.